The Winner of the GIANT Panettone is…..
“Guess the weight of the Panettone” over the last few weeks at the Cherington Bring & Buy, Mrs Browns Tea Rooms, Natural Health Clinic and The Richard Harvey Collection Ltd​ who together has helped raise £150 for the charity. Thank you to Steve & Amanda at The Plough Inn, Stretton-on-Fosse for their fantastic donation of the Giant Panettone. Well done to Sylvia & Richard Morris from Stratford upon Avon. 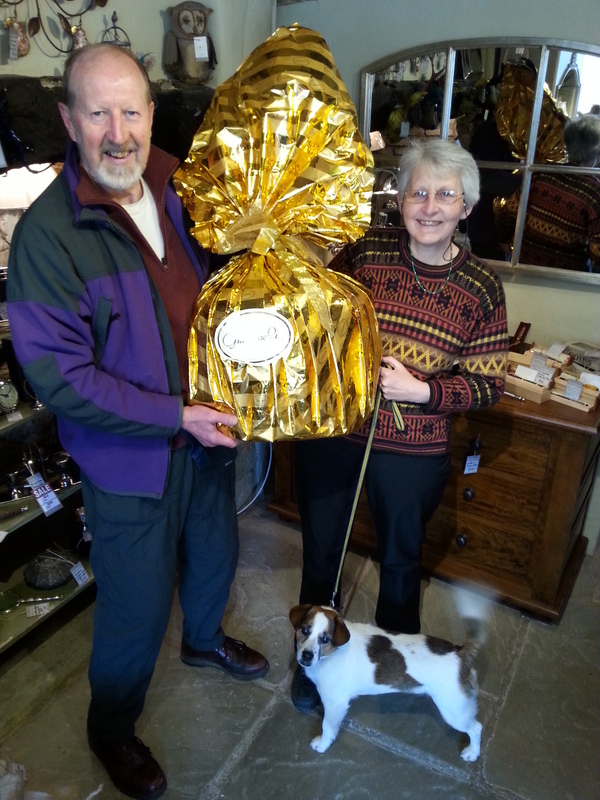 Sylvia guessed the weight of the Panettone by comparing it to the weight of their dog ‘Bertie’ who weighs 10kg. She reckoned it weighed just a little bit more! They are currently planning a Panettone Party!